The frog life cycle is fascinating to both kids and adults. It’s amazing to watch the eggs hatch into tiny tadpoles that swim around like fish, then slowly grow legs and lose their tails until they finally hop out of the water as frogs. Witnessing this metamorphosis in real life is a great learning experience, but that’s not always possible. 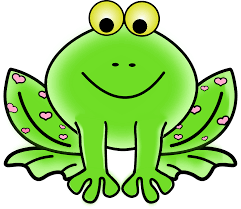 More available are online games about the frog cycle for kids. In some ways, this is an even better way to learn, as interactive games provide a number of additional benefits. First, the graphics or photographs used in games can provide a close-up view of the process. It would be difficult, if not impossible, to see a tadpole swimming around inside an egg with the naked eye. But graphics can zoom in on the action, giving kids an inside view of the process and reinforcing the sense of wonderment so many kids — and adults — feel when learning about nature. Second, interactive games can present all stages of the life cycle in the same learning session. 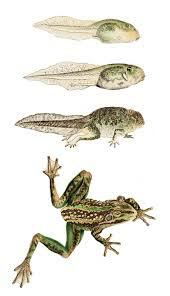 Nature is somewhat slower; it takes 12 to 16 weeks for an egg to hatch and for the tadpole to metamorphose into an adult frog. While the student can learn about the stages ahead of time, the full experience doesn’t emerge for three to four months. Interactive games are more immediate. There are other benefits that are inherent in most interactive games as well. One is quick feedback. As children play the game, learning which responses are correct and which aren’t provides them with information they can use to construct learning. In addition, the fun of mastering each new piece can keep a student moving forward until they can demonstrate a more complete understanding. Researchers have found that this type of incremental learning has an impact far greater than simply learning the subject at hand. It gives kids a repeated experience of mastery. Every time they get an answer right, it gives them another reason to believe in their own ability to learn. This is true even if it takes several tries to get to the right answer. Researchers have also found that a student who has repeated successes has a more positive attitude toward learning than one who continually struggles and fails. Interactive games offer the opportunity for repeated successes — and this produces more positive mood states. Achievement feels good! But what about the kid who doesn’t catch on quite as quickly and has to try several times to drag the stages of the frog life cycle into the correct order?That has a benefit too. Wrong answers can produce frustration. Trying different combinations until finally succeeding teaches children to manage negative feelings as they work toward the desired outcome. Who knew that playing a game about the frog life cycle could have so many benefits that have nothing to do with eggs and tadpoles?